When Brussels' iconic Atomium opened 60 years ago, it was making a bold statement. The nine spheres - depicting magnified iron crystals - a show of faith in science, including the development of nuclear power. Six decades on, the EU depends on nuclear power for more than a quarter of its electricity needs. Right now, across the bloc, there are 127 operational reactors; France has the most, with a total of 58; and there are seven in Belgium. Samuele Furfari, from the ULB University in Brussels, is an expert in energy - and reflects on its emergence in the Europe. "In 1955, six foreign affairs ministers met in Messina to reflect on what to do Europe and one of the master plans at the time was to create the Euratom treaty, the treaty which allowed the development of of atomic energy, as it was called at the time, to produce energy to aid the economic development of Europe," he said. "At the time, they said that the European Community couldn't develop without abundant cheap energy. And today it's the same." But, last month, the Belgian government agreed a new energy pact - reviving and confirming a policy, which will see nuclear power phased out in the next seven years. It's looking to tap into gas-fired power generation instead. But how realistic is its vision, and deadline? We put that question to Belgium's federal energy minister. "Is Belgium ready right now at the very moment we are speaking? No, not yet. But we are actively preparing, since I've been in this position in charge of these responsibilities, we have put in place a series of laws, a series of decisions and a very strict timetable to set up these gas plants, when we will quit nuclear energy starting in 2022-2023," explained Marie-Christine Marghem. "At that point it will be a soft role-out, there are two nuclear plants which have reached their 40-yr life-span, so it's doable. But specifically from 2025 when all the rest of them will leave the electricity mix/grid." Some worry about the risk of a nuclear disaster in the EU. Questions have been raised about the safety of Belgium's ageing plants, while Luxembourg plans to adopt a new law giving citizens the right to sue nuclear operators next to its borders - if there's an accident. And recently, Belgium's federal government started handing out free iodine tables to residents, to limit the effects of radiation, if needed. "Out of the 400 reactors in service globally, give or take, three quarters of them are too old and are heading towards the end of their life spans," said anti-nuclear activist Stephane Lhomme. "So in any case, whatever your thoughts on the matter, whether you're for, against, whether there's an alternative or not, in any case the majority of these reactors are going to close or are in the process of closing down. It's the case in the US, in Japan obviously with the Fukushima disaster but it's an irreversible process." Stephane's voice is one of many in the mix, as the EU pushes for more renewable sources of power. It wants to see 20 percent of energy, overall, coming from renewables by 2020. In 2016, it stood at 17 percent. Belgium's individual target, for instance, is 13 percent - it was more than four percent off that two years ago. But some countries have already exceeded what's expected - including Sweden, Hungary and Lithuania. The nuclear power industry isn't going away though. In fact, new plants are under construction, in France, Hungary, Slovakia and the UK. The EU's industry voice, FORATOM, says nuclear is safe - and highlights that it contributes half of the EU's low-carbon electricity. "There is a need for the EU to continue pushing for the renewable side. But, at the same time, they have to acknowledge the fact nuclear is also a clean energy source and they also have to enable it to be developed," said Berta Picamal from FORATOM. "Nuclear energy provides clean electricity as well as provides security of supply to the EU, so make it less dependent on imported fossil fuels, which are emitting technologies. So this is what we have to be looking at, combining all available technologies nowadays on the market to make it happen." 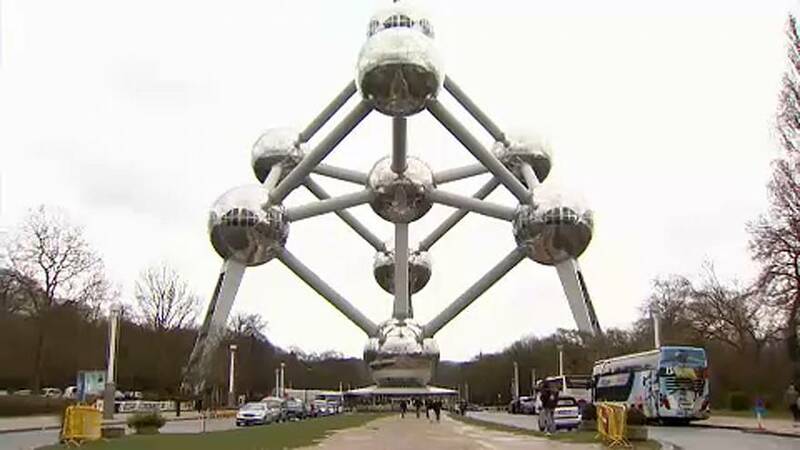 Sixty years on in Brussels, the Atomium's image of science faces some stiff debate - as Europe focuses on its future energy needs.